On June 16, 2018, Caitlin Smith Robinson ran 2:43:09 at Grandma's Marathon in Duluth, Minnesota. 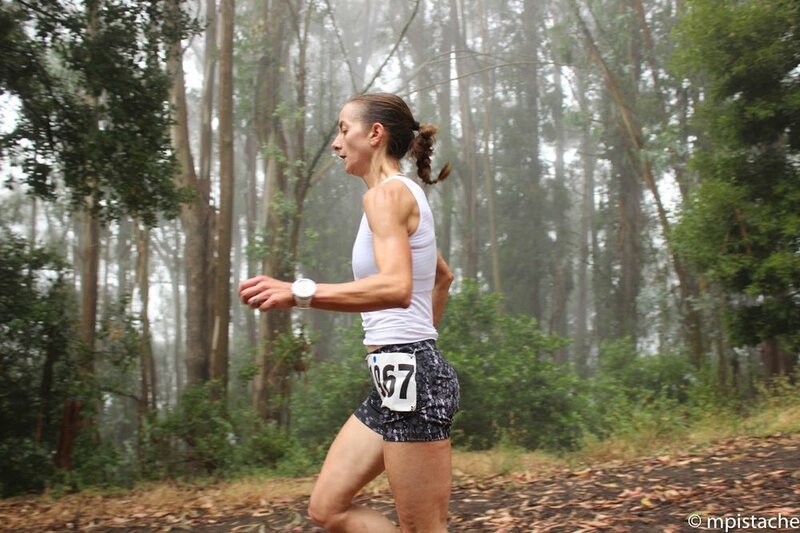 She finished 18th in the race, but notched her third Olympic Trials qualifier for the marathon. Interestingly, this came after two missed attempts to hit the Trials time standard in the past seven months. 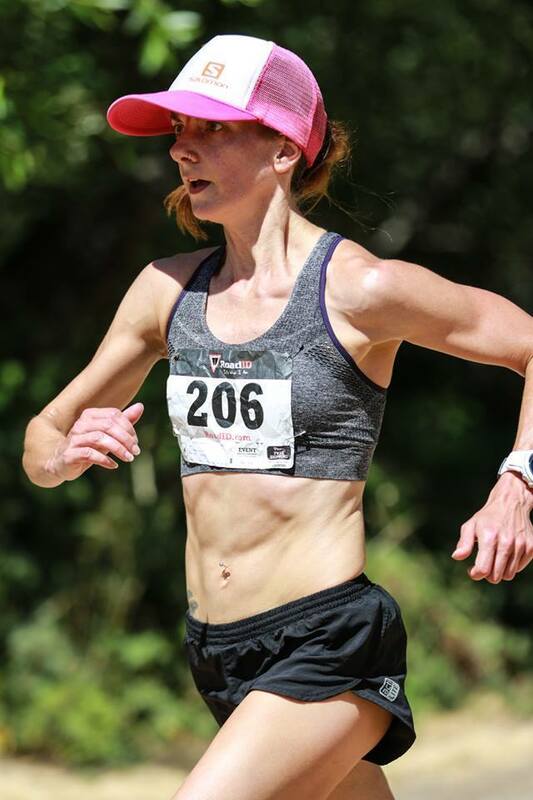 I chatted with Caitlin about her recent race, how she bounces back from failure, how her approach to training has changed over the years, and how coaching other athletes provides insight into her own running. You can listen to this interview on Soundcloud or read the lightly edited transcript below. Sam Robinson: Caitlin, thanks so much for joining Breakfast Club for an interview. Sam: In an effort toward full disclosure, I will say that Caitlin Robinson is indeed my wife.... and so we are here chatting in our studio apartment. We are going to chat about how she recently set an Olympic Marathon Trials qualifying time at Grandma's Marathon last weekend. So, Caitlin, can you walk us through the race at Grandma's? What was your race plan and how did things unfold? Caitlin: Initially, I thought I would go out conservatively and see how I felt in the second half marathon. But when the gun went off, I decided to go based on feel, and not focus on my watch. When I started off, I felt good and I made sure my first mile was no faster than 6:10. But at that point I ignored my watch and only took splits every five miles. In retrospect, I realize that my math was pretty poorly done! Caitlin: My second five-mile split was right around 30 minutes, which was faster than my intention... which was fine. But I think I ran really well for the first 30K with this method and then got a little nervous, knowing I was on pace for a personal best. Having done both CIM (Cal International Marathon) last December and Houston in January, where I had difficult final 10Ks, I was nervous about missing the Trials standard. So I backed off a little bit and tried to run really relaxed. Sam: It actually took you a few attempts to get the Trials standard for this 2020 Olympic cycle. You were an agonizing 30 seconds away at CIM. Caitlin: I think it was actually a little less; I dunno, 15-20 seconds off at CIM. And I was well underneath the standard with six miles to go in that race. Sam: And so you took another crack at it in the Houston Marathon six weeks later. Caitlin: And I just wasn't recovered. Sam: Was the thinking, "try to hit while the iron is hot"? Caitlin: Yeah, I went into CIM a bit undertrained. I had an achilles issue earlier in the fall. So my training was pretty minimal. When CIM went pretty well despite that, I thought, "why not try Houston?" But I definitely underestimated my need for recovery. There were physical aches and pains in my hip and foot that manifested around the 30K mark in Houston. Sam: How then do you bounce back from failure in a productive way? I've noticed over the years that athletes tend to make one of two mistakes: either they get discouraged and give up... or they overcompensate and respond to failure by overtraining and trying too hard, thus risking injury or burnout. How do you balance between those responses? Caitlin: Houston was obviously an over-adjustment, hah! Having the mindset that I was really close in December, that I needed to regain focus and time helped. It was also helpful to get some guidance from someone who helped me focus on speed and reduced my mileage in a new way. I think doing something completely different gave me the opportunity to not race as much and to focus more on the strength and speed component. Caitlin finishing the 2016 Woodmonster Trail Race. Photo: Stephen Woo. Sam: Going along with that, it sounds like your training has changed a bit over the years. This is your third Olympic Trials cycle that you've qualified for now, which I think makes you a "venerable veteran" now! Hah. Caitlin: There were definitely a few women in their 40s who qualified at CIM. That is very inspiring to see. I feel like this is maybe my last shot? But who knows, maybe in another four years, I'll feel antsy to get out there again. But you never know if you can keep qualifying. To be running the same times I was running seven years ago is actually pretty cool. Sam: It is. Over that time, how as your approach to training changed over the years? When I met you were a trail ultrarunner. Obviously you've grown a lot as a person, so I'm curious how your approach to the sport's preparation has changed. Caitlin: It has changed drastically; my approach to the sport has changed a lot. Going back to your earlier question about balancing training, I don't think I was good at that initially. I just raced a lot. My first major injury was emotionally devastating. I've since learned that there are ways to rest, recover, and improve that is more than just train, train, train. Or race all the time. Sam: Are their specific strategies or tactics you use for your recovery? What exactly do you mean by taking things easier? Caitlin: I take rest days now. I wasn't doing that as frequently when I started running. Back then, I never wanted to miss a day. Now I'm ok missing a day or taking a five-mile easy run. I've backed off the hills on my recovery days. Stretching, foam rolling, etc. I feel like I'm a very good sleeper. I think it is a mindset, too. Maybe a confidence thing. When I first started racing, I didn't feel very confident in my abilities. Even though I was racing well, I was always on the edge between trying to do better, but to the point that it almost always backfired on me. I think now I'm more laid back about it. I realize that when you show up eager to race, you are going to race better than if you are tired. Sam: Do you think that anxieties about confidence tend to effect women runners more than men runners? Caitlin: I don't know. You see it in society, where women tend to hold themselves up to unrealistic standards of success. But I think we all go through it. Most endurance runners have a tendency to overdo things from an absence of confidence. Sam: Yeah, it is almost a trope that women lack confidence. And I don't mean to lean into this notion of the "unconfident woman" to such an extent that I am stereotyping. But you often hear this in regards to politics and business: that women think they are under qualified relative to men. You and I have often chatted about how, conversely, the mistake male runners make most commonly in races is going out way too hard early in a race. Caitlin: Yeah, yeah. And women underestimate their abilities. In retrospect, I've always felt that I've been hard on myself, often feeling very disappointed with race results. I've backed off that attitude. I look back now and wonder, "Why was I disappointed in that? I did really well." But it takes a bit of maturity and time getting to know yourself. And that is bigger than just running. Robinson got her competitive running start in trail and ultramarathon racing. Photo: @mpistache. Sam: Moving away from your own running, you're also a coach here in the East Bay. Does coaching other athletes provide insight into your own running? How does the experience of being the voice of reason and guidance for other people influence your thinking about yourself. Caitlin: Absolutely. It's very easy for me to tell someone else some training principle, and then I think, "Wow, I don't even tell myself that." It gives you an eye into how you might be making the same mistakes. For instance, a couple weeks ago I was out at the track, coaching someone that was having a hard day. They were not feeling good in the workout and really upset with the time they hit for their first interval. I said, "Listen, it's not about the time, it's about the effort. You need to focus on relaxing your body, getting through the next interval, and you'll get quicker. Let it go, run whatever time your body needs to run." No doubt, she got faster through the workout, and was much happier when it ended. In that moment, I could also see that this is also me when I'm not executing things well. It goes in both directions. I've been through experiences and don't want people to beat themselves up over them. It is a bigger picture than just a single workout. Sam: Are there runners, mentors, or experts that you are looking for guidance in just that same way? Caitlin: Yeah. I've teamed up with another coach in the area. Tinu Mishra has helped me intensively since January. He has been very good about adjusting my intervals or easing into efforts. He has helped me run more relaxed, but also focused upon the execution of workouts. That has been super helpful. And also, just not having me overdo things. He has helped me shift focus away from just mileage and toward the effort itself. Sam: A coach gives you another standard of objectivity. They are outside of their own experience, in a way that they can say, "Look, if nothing else, it seems like you are doing too much... or not enough, etc." A coach gives a perspective that, being in your own head, one can't usually see. Caitlin: Yes. The big thing that Tinu wanted me to get used to was running outside my comfort zone and dipping under 6:00-minute-mile pace, which is a line I've had trouble crossing in the past. It helps to have somebody who believes you can do that. We've started off with shorter intervals and created the leg speed before lengthening those intervals. We've taken longer rest which is a new thing for me. In the past, I might run a workout like 6 by mile with 60 seconds recovery. We've tried taking more recovery to see how these paces can get faster. Not being a collegiate runner, I never had that transition into these workouts that others have had. Sam: To follow up that thought about being "comfortable outside of your comfort zone," you mentioned that the last 10K of the last few marathons was distressing. Actually, it's almost always uncomfortable for people. What are some of the ways in which you power through difficulties in races? Caitlin: For Grandma's, the main thing in my head was, "I don't want to do another marathon!" <laughs> That was the motivation to push through. I find that in the last six-ten miles in the marathon, I start to feel quite distracted. You start to notice your hips or hamstrings tightening up. So, I try to focus on what is going well: "I'm breathing ok, I can still relax my arms more." I try to create a focus around the good. I also break the race up into chunks. For the first bit, I was dividing the run up into five-mile chunks and that felt reasonable. Toward the end, I was thinking about the race mile by mile: "Let me just get to the next mile." And that's when the crowds at a race like Grandma's Marathon help as well. I ran to sidelines and gave ten people a high five at mile 22 to get amped back up and excited. Sam: Those seems like good strategies: reframing your mind upon what is feeling positive and compartmentalizing a race into different-sized chunks depending on your position in the race. Caitlin: That's the hard think about the marathon. You hit mile 17 and think, "Oh, man. I've got over nine more miles." That can be overwhelming, but if you respond by just trying to get to mile 18, and then mile 19, the effort seems more reasonable. Robinson finished agonizingly close from the Olympic Trials standard at the 2017 Cal International Marathon. Sam: So to move to more fun and quick questions... this is a San Francisco Bay-centered newsletter. What do you think is the best part of running in the East Bay? Caitlin: The people. The people I've met through running have been incredible. I met you through running! It's been an awesome eight plus years. My friend Linn that I get to run with and share conversations. Obviously the trails around here are incredible and that is a bonus, but the people have been the strongest element to running in the Bay. 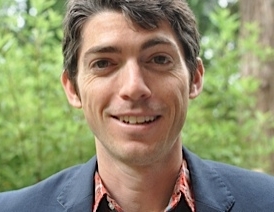 Sam: Conversely, as a runner, if you could change or improve one thing about the East Bay, what would that one thing be? Caitlin: In terms of the running, or in terms of anything? Sam: Haha, well there are MANY improvements that one could make to the Bay Area! Caitlin: Yeah, you could cut back the traffic, and the expenses, and the rent. Sam: If you could do one thing to improve your life as a runner? Caitlin: I really wish there was a flat place to run without traffic. You know, a place that's not Lake Merritt. Sure, the Lake is fine, but it's a little crazy and there are a lot of pigeons and the occasional rat. These are small things, you learn to navigate your environment. But I get jealous of the people who live in the South Bay who can do a long run and climb 26 feet. I do a "flat" run here and I get 1,000 feet of vertical. Or if the traffic was managed better or more people rode bikes like in Copenhagen, maybe then running would be better. Sam: It would indeed be nice if there was a nice flat five-mile trail somewhere accessible. Caitlin: Or some sort of urban pathway. Sam: An urban path that is not some sort of afterthought to a transit project like BART or a freeway expansion. There are plenty of flat paths alongside interstate corridors in the East Bay. So, let's do a few quick split questions to start wrapping things up. What is your favorite beer? Caitlin: I'm in love with stouts right now. There is not a specific brand, just stout beer in general. Sam: That's impressive. Your favorite running shoe? Caitlin: I got a pair of the Nike Zoom Vaporfly. Sam: The new gee-whiz, biomechanically hacked Nike shoe? Caitlin: Yeah. I really do like them a lot. It is somehow both a lot of cushion while feeling like you are not wearing a shoe. So far, my favorite racing shoe. I wore them at Grandma's. Sam: And you did not wear them for the previous two races when you did not qualify for the Trials? Sam: Fascinating. Ok, one last question: your favorite trail in the East Bay? Caitlin: It has to be French Trail in Redwood Park. That's our backyard, that's where we met, and it's a beautiful trail. Sam: I gotta come up with a better third question because every time I ask it, people just say the French Trail. Caitlin: It's hard. If you live in the East Bay, it is probably the prettiest trail here. There are gorgeous trails in Marin and the South Bay, but that might be the most scenic nearby. Sam: Well, thank you so much for this chat! Caitlin's new coaching partnership with Tinu Mishra is The Town Athletics, which blends group and individual training to help runners and athletes build a strong mechanical foundation. Workouts aren't just interval sessions; they incorporate dynamic warm-ups, speed development, and strength training. Caitlin also paints in her spare time; you can follow her art on Instagram.